Do you struggle with unwanted fat deposits that don’t respond to diet and exercise? If you want a sexier silhouette without surgery, radiofrequency-assisted BodyTite procedure is available at Roger T. Brill, MD, in Gainesville, Florida, to give you the curves you want. With more than 30 years of experience as a board-certified plastic surgeon, Dr. Brill offers liposuction and less invasive BodyTite procedures to help you look and feel your best. Call or click to schedule a consultation online today. 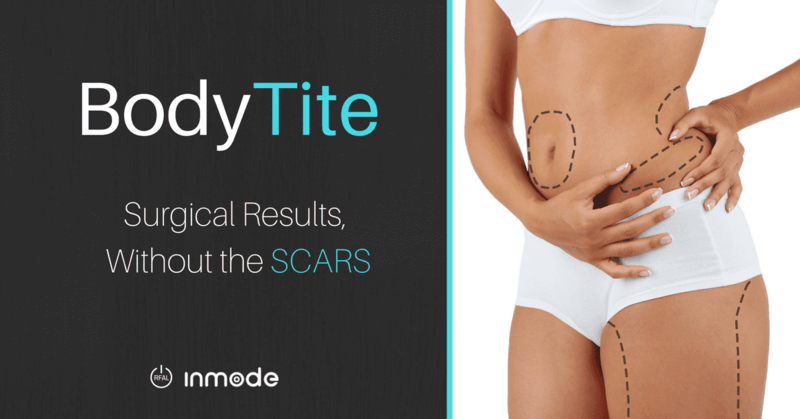 BodyTite is a minimally invasive alternative to traditional liposuction that uses radiofrequency waves to melt unwanted fat deposits, contour your body, and tighten your skin. The unique system allows for precise application of radiofrequency waves and temperature control. While BodyTite is less invasive than traditional liposuction, it can achieve the same results. If you have more unique needs that cannot be helped with BodyTite, Dr. Roger Brill performs detailed surgical liposuction procedures. If you struggle with trouble areas that don’t respond well to diet and exercise, or you have loose skin from prior weight loss, BodyTite can contour your body to create curves that you actually love. During your procedure, Dr. Brill uncovers the treatment area and provides localized anesthesia for pain relief. While you’re awake, Dr. Brill inserts the BodyTite radiofrequency internal attachment through a tiny incision in your skin. An external electrode is placed on the outside of your skin to control the intensity and location of the radiofrequency application. Dr. Brill moves the internal and external components gently throughout the procedure to treat the entire area. While radiofrequency is applied, your fat cells are heated to their melting point and removed by the internal wand. This wand also coagulates blood in the area, so there is very little risk of bleeding. The entire procedure takes two to three hours, depending on the size of the treatment area. Dr. Brill removes the internal wand and external electrode before closing the tiny incision with surgical sealant. What results can I expect from BodyTite? After your procedure, you may experience mild bruising and swelling in the treatment area. You can return home on the same day to recover and follow Dr. Brill’s post-op recommendations. As you heal over the next six weeks, you’ll wear a specialized garment to support the treatment area and prevent discomfort. After six weeks, you should go in for a follow-up visit with Dr. Brill to assess your results. Individual results may vary, but by this time, you should see a reduction in the circumference of the treatment area with a slimmer silhouette and fewer lumps and bumps. If you want a slimmer, sexier silhouette and are tired of trouble spots that won’t budge, call Dr. Brill or schedule a consultation online today.